The fed finds a new way to blunder. The Fed uses equilibrium models to understand an economy that is not an equilibrium system; it’s a complex dynamic system. The Fed uses the Phillips Curve to understand the relationship between unemployment and inflation when fifty years of data says there is no fixed relationship. The Fed uses Value at Risk modeling based on normally distributed events, when the evidence is clear that the degree distribution of risk events is a power curve, not a normal or bell curve. As a result of these defective models, the Fed printed $3.5 trillion of new money beginning in 2008 to “stimulate” the economy, only to produce the weakest recovery in history. 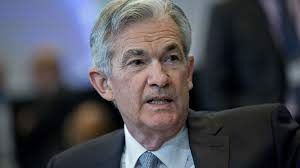 The Fed is now burning money by reducing its balance sheet on the assumption that this reduction in money supply will have no material adverse impact on capital markets. Wrong again! Tighter monetary conditions in the U.S. are leading to a stronger dollar, capital outflows from emerging markets (EMs), and disinflation. As this article reports, emerging markets are suffering one of their worst collapses since the infamous “temper tantrum” of May–June 2013. Once again, the Fed is misreading the situation. Fed Chairman Jay Powell says, Fed “normalization…should continue to prove manageable” for EM economies. But the EMs are already in distress. Just ask Argentina, which turned to the BIS and IMF recently for emergency rescue loans. The Fed has it wrong again. The situation in EMs will get worse before it gets better and the Fed will be the last to know.